As a part of the tie-up, the ‘Smart TV ka Smart Choice’ offer is now valid on all plans across 15 cities where ACT Fibernet is present. ACT Fibernet has announced a tie-up with Flipkart to offer internet plans to smart TV buyers in the country. As a part of this tie-up, the company said that the ‘Smart TV ka Smart Choice’ offer valid on all plans across 15 cities where ACT Fibernet is present. ACT Fibernet (Atria Convergence Technologies Ltd.) India’s largest fiber-focused wired broadband ISP (Internet Service Provider), today announced its partnership with Flipkart to offer Fiber broadband plans to smart TV buyers on the Flipkart platform. With the aim to provide a holistic home entertainment experience to all smart TV owners backed by uninterrupted and super-fast internet broadband speed, ACT Fibernet has launched the ‘smart tv ka smart choice’ plan. As part of this, customers purchasing any smart TV on Flipkart will be able to enjoy exciting offers and discounts on the company’s internet broadband plans. ACT Fibernet will offer every eligible customer, upon purchase of a 6 months subscription, two months free internet subscription with an additional 1500 GB data and a free wireless router. Offer valid on all Smart TV purchases made on Flipkart beginning 3rdSeptember 2018 to 30th November 2018 across all 15 cities where the company has presence. 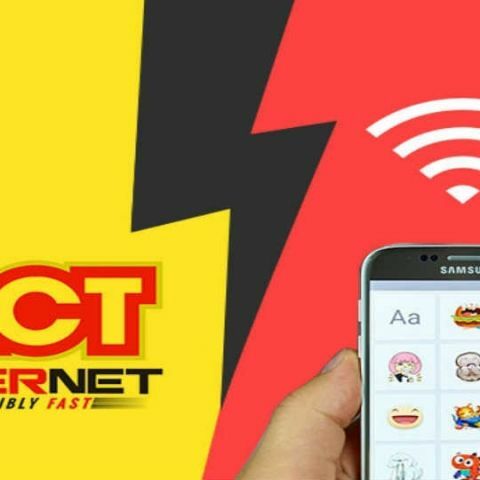 ACT Fibernet to verify the purchase with Flipkart and outcall the customer, confirm the offer, check for feasibility in customer location and proceed with installation. ACT Fibernet to provide new connection within a period of 10 working days. Offer to be redeemed before 31st December 2018.